With recent advancements in technology, there is now a distinct and decisive trend of information technology (IT) transitioning from being a business-enabler to a people-enabler. IT is becoming more concerned with people, context, events, service and policies, while focusing on more cloud-hosted and cognitive solutions. With the help of cutting-edge technologies, ordinary objects can become smart artifacts that significantly enhance our personal care, convenience, choice and comfort. 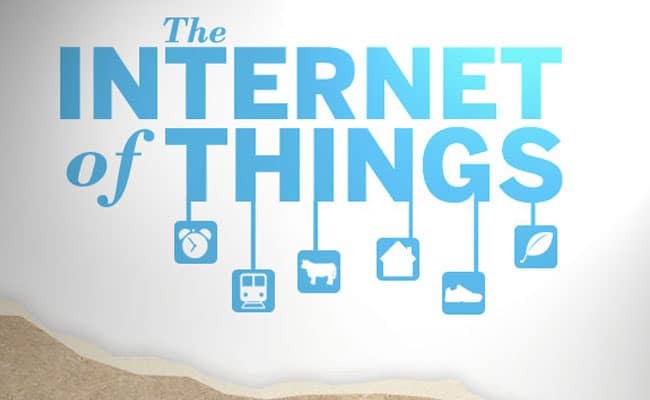 All kinds of items in our everyday lives can become a network of interconnected objects that simulate an internet of connectable devices, known as the Internet of Things (IoT). With this push toward extreme connectivity, there is a call for the seamless integration of the physical world with the virtual world. The implications of this integration are manifold. Nearly every single item in our midst can become an individual or collective service provider, publisher, broker, booster and so on. These advancements will radically alter human society in the days to come. Homes, hospitals, classrooms, offices and entire cities will be transformed. Suppose there is a man-made or natural disaster in a particular location. If everything there is digitalized accordingly, connected with one another and service-enabled to interact over any network, then emergency and rescue teams can better understand the type and intensity of the disaster, the hidden risks and the exact situation of the people affected. This will help the teams plan and proceed accordingly, and take decisive action to rescue as many people as possible. In short, our decision-making and action-taking capabilities in our personal and professional lives will improve in the days ahead. Let’s examine just a few of the areas that will be affected by these changes. As technology continues to advance, our living and working environments will incorporate a wide variety of heterogeneous electronics. This includes and goes beyond the already-ubiquitous technologies of monitors, processors, projectors and so forth. Many physical, concrete items such as furniture will become computation- and communication-enabled with the assistance of specially made electronic attachments. Whenever we walk into this kind of augmented environment, the devices we carry—and even our e-clothes—will be able to enter into a collaborative mode and form wireless ad hoc networks to understand our needs and accomplish them. For example, if someone walks into a room where a printer is located and wants to print a document from a smartphone or tablet, the smartphone would begin a conversation with the printer automatically, check its competencies and send the document to be printed. The smartphone would alert the owner once the action is accomplished. In this way, devices will sync up with environmental artifacts to reduce the workload of humans. As energy consumption continues to increase and to further impact our extremely fragile environment, there is a call for new means of energy conservation in order to preserve that environment for our children and future generations. People everywhere are insisting on green solutions and practices these days. As has been noted in various reports, IT can waste a lot of energy due to the electricity needed to keep IT servers and connected devices running. Green IT is therefore a hot subject for study and research across the globe. Newer and nimbler platforms such as smart metering and grid have emerged and are doing well. There is a renewed focus on the Internet of Energy (IoE) concept. Ambient assisted living (AAL) is a new prospective application domain. Next-generation healthcare services demand deeply connected solutions to meet the needs of aging and ill patients. With AAL, doctors will be able to remotely diagnose, monitor and manage the health of their patients. People can already track the progress of fitness routines. With the prevalence of connected solutions, it becomes easier to take action in a timely manner based on the increased and improved knowledge at hand. Real-time asset-tracking will become much easier, enabling better administration, configuration, activation, monitoring and repair. Enterprises, hospitals, factories and other large organizations will be able to more accurately track the locations of things such as high-value equipment, doctors, patients and vehicles. In the upcoming era, smart technologies will not only help us to accomplish all kinds of everyday activities, but will also facilitate our decision-making. Humanized robots will be extensively used in order to fulfil our daily physical chores. In summary, the IoE technologies will sync up with cloud infrastructures to result in smarter, people-centric environments.